Our team of defective drug lawyers and attorneys at National Injury Help are currently filing lawsuit claims with potential large cash settlements for people hurt from the drug called Actemra. The basis of this Actemra lawsuit is fairly simple: Genentech, a wholly owned subsidiary of Roche, failed to warn both doctors and users of the potential side effects including lung disease, increased stoke risks, myocardial infarction (heart attack), heart failure, and even death in some patients. An investigational journal (source link below) featured a story on Actemra and noted some startling data that illustrated that hundreds of people who have taken Actemra had died from strokes, myocardial infarction and other heart conditions. If you or someone you love has suffered a heart attack, heart failure, lung disease or pancreatic cancer related to Actemra contact us today for a complete evaluation for your claim, there may be substantial cash payouts from the makers of Actemra. What is Actemra prescribed for? Rheumatoid arthritis is an inflammation in hands, wrists, and knee joints. This condition affects 1% of Americans. Physicians aren’t sure of the cause of this fairly common disease. Most of the drugs used to treat rheumatoid arthritis are classified as NSAIDS (Nonsteroidal anti-inflammatory drugs). Most of these drugs carry warnings of heart attack and other heart risks on their labels, Actemra does not. Actemra works different: Tocilizumab (Generic name) blocks the interleukin (IL)-6 receptor to stop the production of inflammation in the body. Actemra (Tocilizumab) was developed and marketed starting in 2010 by Genentech (Roche Inc.) it is an immunosuppressive drug and can be used to treat both moderate and severe rheumatoid arthritis. It was later approved by the FDA in May 2017 for the additional use in treating Giant Cell Arteritis (GCA). Method of administration is intravenous (in monthly injections). It’s estimated that close to one million people have used Actemra. Genentech has reported $1.7 billion in Actemra sales for 2016. The FDA has received reports of 1,128 patients died after taking Actemra. When STAT was looking at the data, it appeared that the rate of risks of heart attack and other side effects was as high or even higher than other rheumatoid arthritis drugs. So again we ask: Is the FDA doing enough long term studies on this and other drugs? What about post market studies, were they done for Actemra? On May 22, 2017 the FDA grants and expands approved use of subcutaneous Actemra (tocilizumab) to treat adults with Giant Cell Arteritis. According to the FDA approved label for Actemra, the most common side effect is serious infections. What is the Actemra MDL? MDL stands for multidistrict litigation. MDLs help speed up the litigation process by bringing similar lawsuits together in one court. Attorneys on both sides are able to collaborate during the discovery process, which saves time and resources. A few cases are usually picked to be tried first. These are called bellwether trials. Bellwether trials give attorneys the chance to test out legal theories before a jury and can help inform settlement negotiations. Three recent questions about the Actemra lawsuit. How much can you get for an Actemra lawsuit? How much would the cash payout be for Actemra? I took Actemra and had a heart attack, how much compensation would I get? How much is the settlement in the Actemra lawsuit? The answer to these questions can be difficult to predict, as the class action for this hasn’t started yet. There is still time for join in this Actemra lawsuit, but there are statutes of limitations that apply. This drug may enter into MDL status (see above). 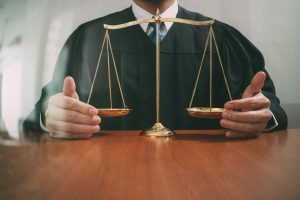 Some of the past defective drug lawsuits have had millions of dollars in a compensation fund, and then that is divided up between all who have joined the lawsuit. Example: $50,000,000 in a settlement fund that would serve 1,000 victims would be $50,000 per person. This is only an example and does not represent what may happen for Actemra. If you or someone you love took Actemra and suffered from a heart attack, heart failure, pancreatitis or worse, you may be entitled to financial compensation. Not sure if you have a case? Call us today to speak with a member of our legal team. We can answer your questions and help you determine if your case qualifies for a possible lawsuit.